Vintage hat, vintage rhinestone bow shoulder brooch, and vintage dress. 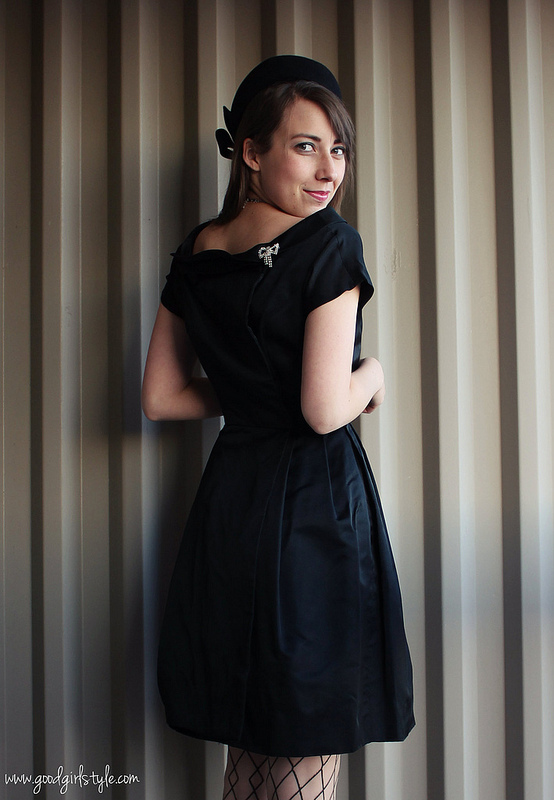 I bought this dress a few months ago, but it needed a bit of TLC to be wearable. When it comes to vintage, needing a bit of TLC is no problem for me, so I set to work handsewing and cutting off the awkward mid-calf lower tier that was falling apart anyway. I think it turned out very cute shorter! I wish you could see the back better...such a pretty foldover drape with a big satin button on one side. Sunshine and a bit of snow on the ground for Christmas. My DAD said this was a cute outfit, and that it was very Jackie Kennedy. A CHRISTMAS MIRACLE! I wore it with my red wool coat for a festive touch. I love everything about this, Natalie!!! So vintage and sweet! Love the bow brooch and the way you put it on your back shoulder. Cute! 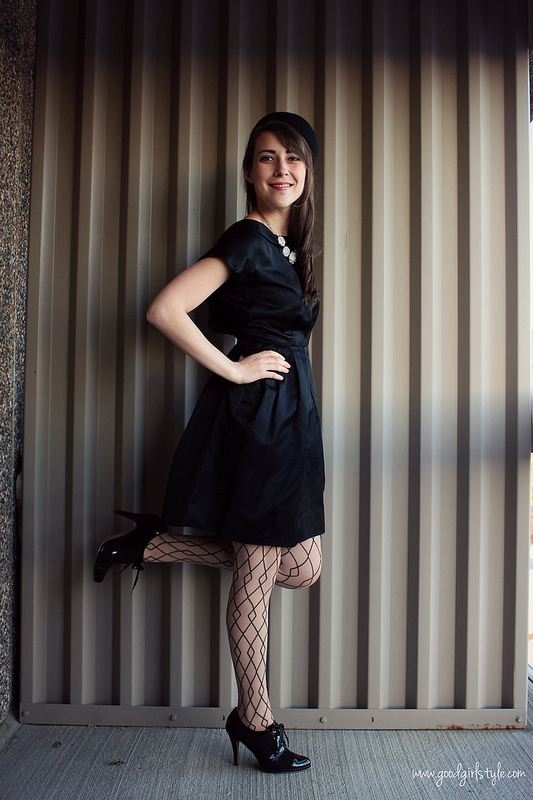 I love that you were able to still have a vintage dress, but make it your very own by shortening it! Love. I completely LOVE this look. Gosh it's awesome!